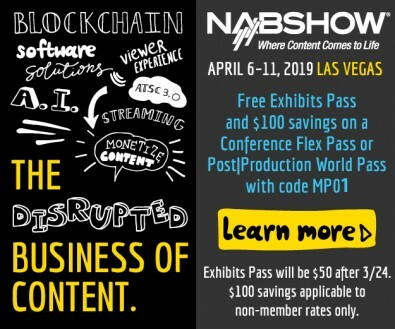 With NAB 2019 but two weeks away, the technical conversation begins to focus on what might be some of the show-floor hot topics. Here are two that are sure to be of interest, UHD delivery and cloud production. To help readers get prepared for the show, The Broadcast Bridge has assembled two recent articles, to examine these issues. Is UHD delivery close or just a dream? Will OTA broadcasters be able to participate, or is this just a streaming, OTT delivery format? Then there is the cloud. It can solve everything, right? Not so fast. While there are more cloud solutions than you can count, not all are appropriate for production. 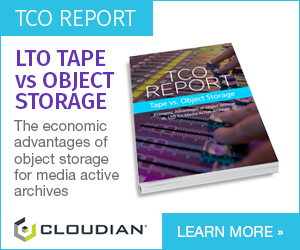 Before moving your content and workflow to the cloud, best read how others have done it. What did they learn? How can you avoid any mistakes? 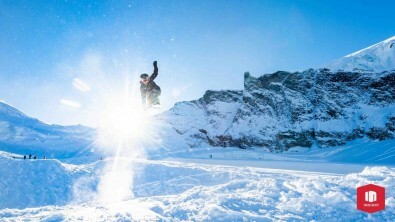 In this article the author assesses how far UHD has come and finds rollout hindered by being inextricably bound up with the complexities of High Dynamic Range (HDR). The industry was hoping for 4K consumer displays sales to kick up, driven with the UHD HDR broadcast of the FIFA World Cup from Russia last summer. What happened? Not only are consumers finding it hard to understand the tradeoffs with SD/HD/4K/UHD/HDR, professionals are equally confused about what and how many formats they might eventually have to support? In this case, more options is not better. The insightful article, filled with interviews from industry experts, will help you better understand why broadcast and production television finds itself in a holding pattern. What will it take to get the industry moving again? For answers see the article, What's Holding up Delivery of UHD? 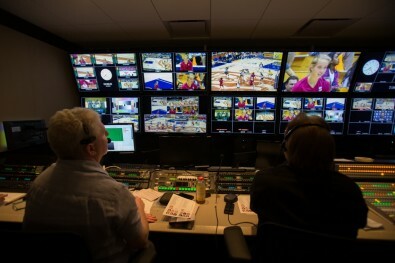 One of Pac-12 Networks’ REMI control rooms, located in San Francisco's South of Market District. While the idea of remote processing and storage using “At-Home” production might be new to some, the team at Pac-12 Networks has been doing it—and refining their IT-centric workflows—for years. When tasked with supplying content across multiple platforms, all generated from 100 venues across 12 campuses, it’s just not humanly possible to deploy and manage all of the resources required. The solution required redundant 10 Gb connections with each Pac-12 school merged with AWS IP-based cloud-centric services. The result is a system that supports live broadcasts of 850 games for Pac-12 collegiate sports over the 2018-19 season. Moving the Pac-12 broadcasts onto a cloud platform enabled media workflows to improve and become more flexible and efficient to support this large-scale operation. Learn more about how a cloud workflow might improve your media operations in the article, Pac-12 Networks Has Cloud Workflows Figured Out. This year, The Broadcast Bridge will be showcasing many of the technical sessions with brief articles. These articles will summarize key topics and presenters so you can plan in advance your attendance. Don’t devote your time drooling over gear you cannot afford. Spend some time updating your technical skills while learning from the experts on how to improve your facility with new technology at the BEIT Conference at NAB 2019. The Broadcast Bridge free exhibition pass is available through the image displayed above. Use registration code MP01.